fitting more people into your living arrangement if space allows. If you are renting on your own or with your partner and have spare bedrooms in your current residence, it could be worth looking at finding a flatmate (if you are comfortable with living with someone else) to help cover the costs of your rental commitments. Alternatively if you need to move closer to work or are required to move out of home, you can consider sharing with someone that has already taken out a less, this will allow you to just pay your share of the rent and avoid the need for you to apply for a rental property. If you are currently paying $400 a week in rent, you could potentially find a flatmate to cover $100-$200 a week of the rent for the use of the spare bedroom/s you may have. 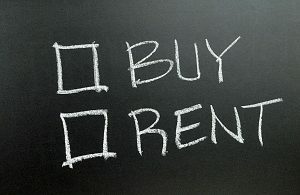 This could reduce your rental costs by 25 – 50%. If the median price of a rental property in your preferred suburb is $400 a week, then you can potentially consider sharing a room at half the cost.